Liverpool Screen School’s annual degree show has become something of a tradition, with guests invited along to watch, view and read coursework highlights and performances for the fourth year in a row tonight. Students from LJMU’s Creative Writing, Drama, Film Studies, Media Production and Journalism degree courses all had their efforts displayed, with many coming to view and appreciate their combined offerings, as well as join in with interactive elements. 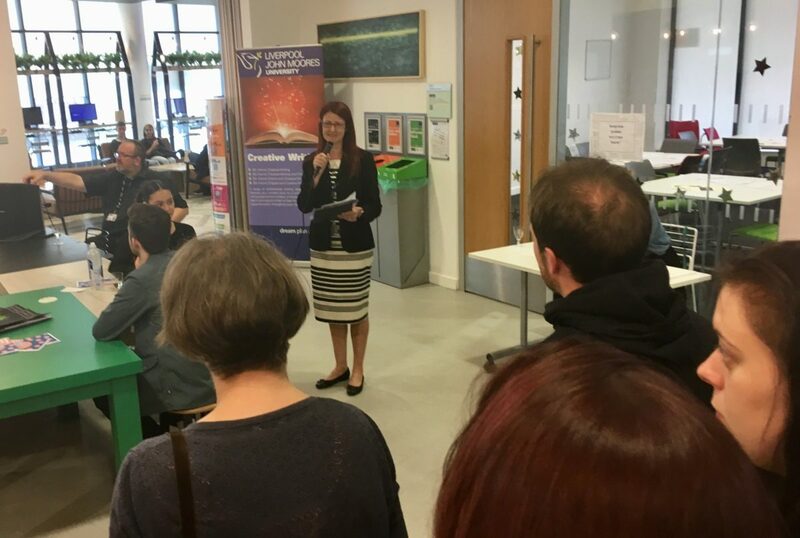 LSS Director, Professor Rachel McLean, welcomed everyone to the Redmonds Building, expressing her thanks for all the hard work which had been put in by students and staff, encouraging people to consider sticking around in the city after they graduate. 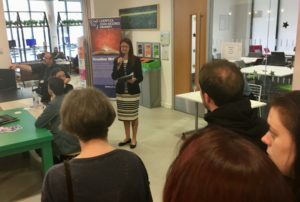 Journalism Programme Leader, Jackie Newton, said: “It’s always a bittersweet moment coming to the end of the academic year, as we say farewell to another group of graduates, with high hopes that they can translate their success at university into the world of work.